Thanks to the combined efforts of A LOT of individuals, we have been able to coordinate the delivery of more supplies, and bring volunteers up north to help with the sorting and distribution. The Kuriowa family collected more supplies from their neighbors and friends, and Avery Sakamoto and his sister Mari drove a truck all the way from Nagano prefecture to help us get it all to Minamisanriku-cho, along with supplies we collected in Noda. 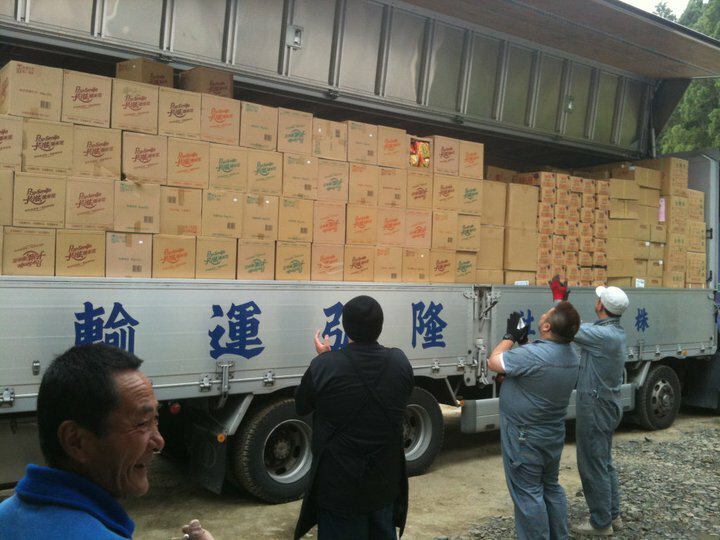 Everyone went up to help with the delivery. Arai san, Kaoru Ogihara, and Jamie Kuroiwa were able to stay longer. 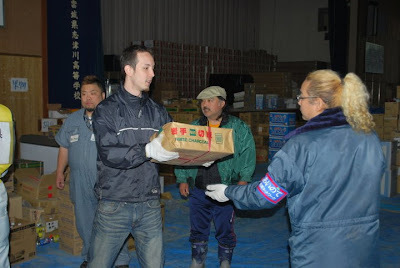 Supplies are constantly coming in from all over the country, and the sorting and delivery is a huge job. They were caught on film by a TV crew who were there at the time. Footage coming soon! 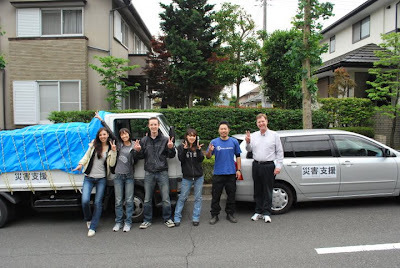 A BIG THANK YOU to the Kanno family in Sayama-shi, Saitama, who financed the last trip on May 18th – 21st, and part of this trip as well. 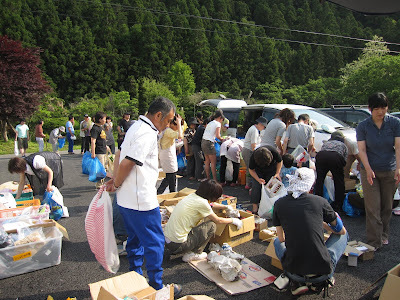 We did another collection of relief supplies at Noda on June 5th, and after sorting the goods, we loaded up and were off with a team of 11 in three vehicles. 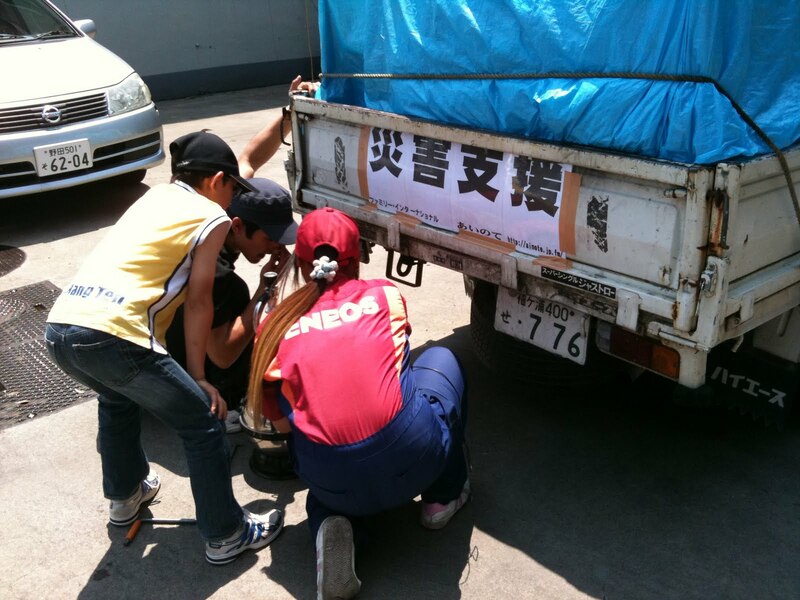 Kato Aiki drove a truck up from Tateyama to help us get the stuff up there. First stop was at the Matsudo Market where our friend Mr. Kasai again donated dozens of boxes of fresh vegetables. Then for some drama: the gas station attendant noticed a problem with the back tires on the truck. The mechanic checked and recommended not taking this truck on any long trips…yikes. But shoganai, (Japanese for “oh well…”) all we could do was pray and drive REALLY slowly, as it was too late to back out now. All was well in the end, as everyone arrived safely that night to a warm welcome by our friends there. A BIG THANK YOU to the TFI members both in Japan and around the world whose donations financed this trip. We couldn’t do anything without your support and prayers. Thank you so much! 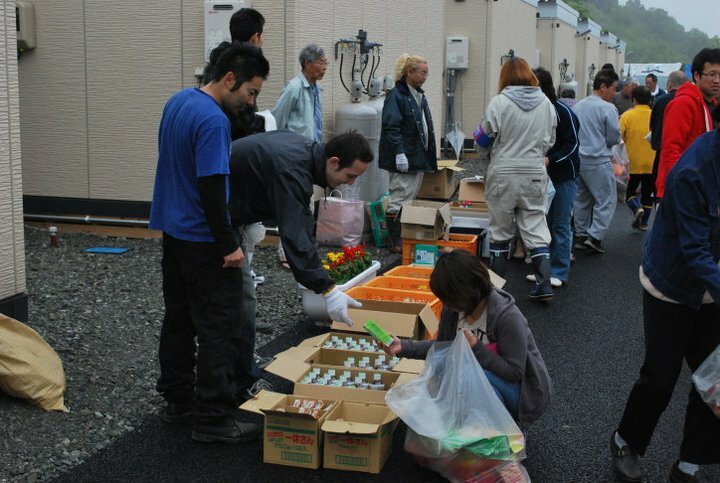 We had formed a simple volunteer network with some friends last year called Ainote (literally “love’s hands”…but it doesn’t sound quite so cheesy in Japanese) with the goal of helping ordinary people to be able to help others in some way through coordinating overseas trips to developing countries, etc. 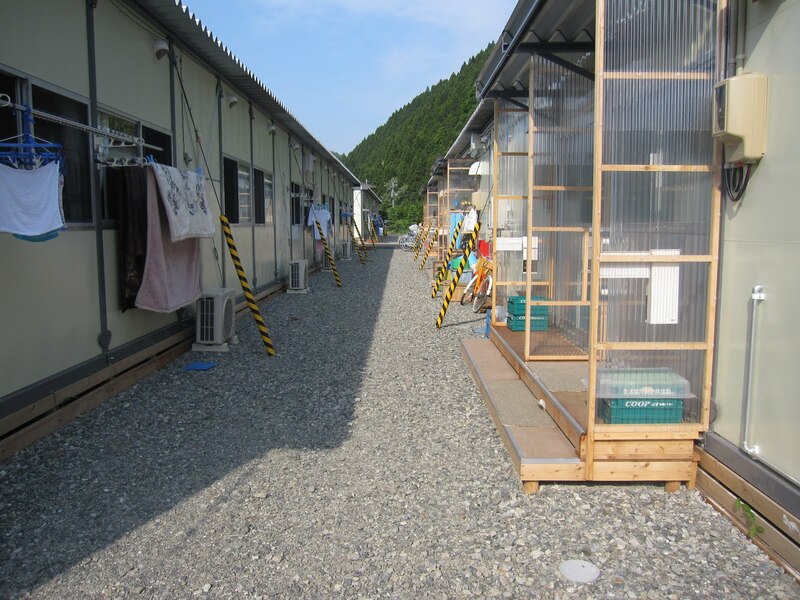 (see website ainote.jp.fm) When the earthquake and tsunami hit, we were able to use the network to begin coordinating help for the Tohoku disaster victims. 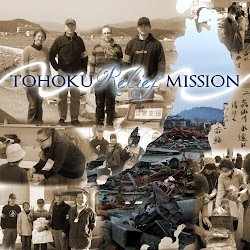 If you would like to be involved, either personally or by supporting in some way, please contact us at tohokumission@gmail.com.